Do you work for Premiere Pro? Learning about Adobe Premiere Pro? We can help. "Make sure you have a computer that's compatible with the software"
The most helpful aspect of premiere pro is the ability to have a variety of editing tools to utilize when creating a video. I feel as if the options given to me by this software is more versatile then a basic video editing product offers its users. This product is super easy to use and is widely accepted by a number of video producers. I feel like this product has the best support as they have integrated virtual reality to help answer questions. The flow of the software is a little confusing and may take a while for some users to adapt to. This software has helped my business solve the problem of file formatting. Premiere allows you to have multiple formats when editing which allows producers to compile a variety of materials into one video so more employees can work on it. Most importantly, there is direct download so users do not need to convert when uploading. "The most accessible professional video editing software"
As with any other adobe product, it's integration with the rest of the creative cloud is key to the way I work. It has large studio backing behind it, as well, and not just the YouTube community--Deadpool, for example, was edited in Premiere. It takes all the standard features from any other beginner video editing software, and multiplies them by ten, adding more and more functionality to each and every button. It's workspace management is frustrating, as you can often have a ton of windows open in order to get any work done. And, for different features, you have to rearrange the whole interface in order to access them. Be sure to be familiar with non-linear video editing timelines before jumping in. For my game studio, Premiere pro is what we use to craft the perfect trailer for all our games. It has all the features we could ever need, and it makes it super easy to import screen recordings of gameplay for use in the trailers. "Adobe Premiere is a must for video professional production"
There are a lot of things I love about Adobe Premiere. This software gave me my career. I am able to produce minor video edits all the way up to featured productions. It took a little bit of time to learn all about the software but now that I understand how it works I have no complaints. The most recent updates have added new workflows that help at your different stages of editing. I often use the Audio and Graphics tab after I finished my first round of editing. The imports are also very smooth. the bins and folders are placed in an easy to use workflow. The only problem with Adobe Premiere Pro is the crashes! There have been a lot of improvements with the auto-save features. HOWEVER I have lost at least 50 hours of my life due to software crashes in premiere. Unless you remember to press save (command s ) every 5 minutes you likely have experienced something similar to this. It can be devastating. This is the price you pay for an awesome piece of software. This is a great software that will help you from a beginner all the way up to an advanced editor. Now that I have mastered this software I have been able to create quick ads for facebook. This has been the focus of my work lately. We manage a lot of clients who need fast video turn around. Adobe Premiere helps make this happen. "Great program but has too many features for what I need it for"
As a graphic designer, I mainly use Adobe Premiere Pro to create video clips, splice two or more videos together, add music and text to still images, or edit videos we already have. I have Adobe Creative Cloud through my company so I can enjoy all of Adobe Premiere Pro's features and updates. Adobe seems to be on top of adding on tools and new capabilities that are needed in my everyday workflow. I also find new tools that I didn't think I needed but they greatly enhance my designs. Adobe also is always looking to improve and ask for my feedback which I value. They've created a program that is easy to use, easy to learn, and gets the job done while also providing valuable tools and features that enhance the overall experience. Unfortunately, if it wasn't for my company paying for my subscription, I would not be able to afford this program on my own. When I was a student, I was able to buy the student program and use it for many years. Now that Adobe has switched to a subscription-based program, instead of paying once to use the program, I have to pay every year even if I don't mind using out-of-date software. Also, because they are constantly pushing out updates, I've run into some minor glitches along the way that takes a week to patch. I'm thankful that they release updates and patches on a regular basis but this can upset my workflow. I had a serious project due once and my suite of programs updated overnight. In the morning, I felt lost and had to quickly learn how to adjust to the new settings and features. There are so many features and tools in Adobe Premiere Pro. I was very overwhelmed when I first began using it, however, there are a lot of tutorials available online to help. I recommend following some of those tutorials before "diving-in" so you don't get that overwhelmed feeling that I did. 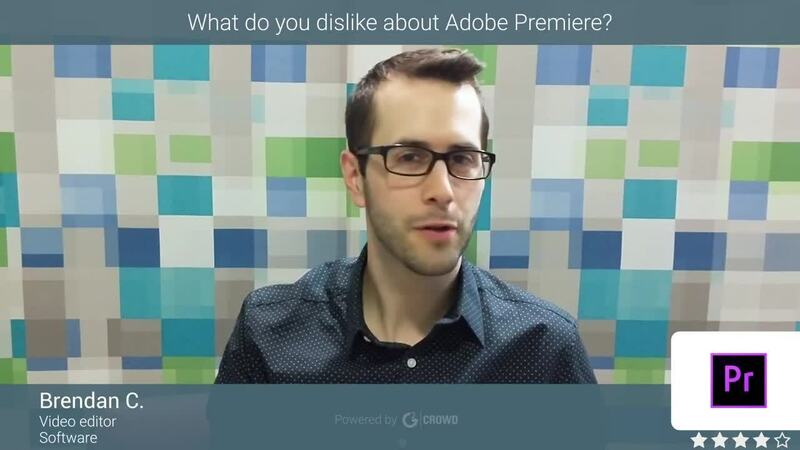 With Adobe Premiere Pro, I am able to provide value-added videos for the marketing team. Multimedia seems to help get the point across in some presentations and our marketing team knows they can come to me if they need any video work done. This gives us a clean and professional look and feel. Adobe Premiere Pro has benefitted me by giving me a reliable software so that I can do my job. They also have a wide expanse of support tools, such as forums and the help center, that I can access if needed. Adobe Premiere Pro allows me to work with a wide range of video formats so I do not have to worry about file compatibility. I love the interface, and how intuitive it is. It's easy to look at, easy to find what you need, and really well designed. It also offers a ton of different options for layouts, styles, and designs. The hotkeys are great and you can become an editing machine in no time. I don't like the bugginess and the crashes. The app crashes constantly, and the support provided is much less than adequate. Adobe has cornered the market, and they know it-- so they don't have to provide the same level of support that a small start up would. Often the only way to resolve an issue is to dig deep into forums for information and then basically hack your own computer. Adobe products are top notch and their integration is truly excellent-- the only problem is that their apps remain buggy, but they don't give you nearly the support needed to take care of it. They rely on their position at the top of the market to quell any worries about customers leaving. I am editing digital video at a very fast speed-- churning out as many as 10 original pieces of content per week, of all shapes, sizes, lengths, etc. I love that I can have color, editing, sound, etc. all in one app and rarely have to leave it to use sister apps. The integration of Adobe Media Encoder CC Pro is also a great aspect, because it allows me the freedom to keep working while my computer exports in the background. "Professional software for video editing"
I do not like that the timeline that allows to add videos, images and graphic components is so limited, I have not yet managed to increase the amount of elements that I can include, this also happens in the audio part, it only allows to include three audio tracks in simultaneous, sometimes I have needed to add more audio tracks to a composition and I have to first edit the audio and then proceed to include it, and it is somewhat tedious, plus it takes a lot of time. "adobe premiere pro is the best"
the software is easy to use to use. you can use it to edit both audio, and video works. and it support many file format while editing. editing with greater speed. it help you move through project you are editing faster. it makes me accomplish a project am working on easy because of the easy user interface of the software. it does not yet support some file format, which include both audio and video as well. its kind of expensive to buy, in order to get the complete benefit of some templates. to enjoy it totally, you have to use it with othe complementary software like after effect. adobe premiere pro is the industry standard software, any one can ever need to use for basic and advance editing purposes. i do edit musical video with it. edit movies and films and we use it for edit while broadcasting at the studio as well. been able to achieve work faster and on time. the quality of my finish work has improved as well. "Rewarding to learn, difficult to master"
Adobe Premiere Pro's vastly extensive set of features allows me to take full control over my video edit and produce the video that I have envisioned. Premier Pro at first is very very overwhelming with the amount of things you can do in the software, but overtime with practice functions become more apparent. The community that Adobe has created over the application is massive and helpful, just search any problems or questions on Google and there will always be 10-50 people eager to help you! Premiere Pro can be extremely overwhelming to learn, especially without any specific guidance. I feel like having a "beginners" mode would be helpful to ease people into the software. Stick with it. At first, Premiere Pro can be overwhelming, especially if this is your first fully functional video editing software. Overtime you will realize that there is a reason that Premiere Pro is one of the most widely used video editing software on the market. Adobe Premiere Pro allows me to edit the videos that I shoot as part of my professional career. As an Adobe power user I enjoy staying within the ecosystem of design and creative apps and Premiere Pro has not disappointing me with it's sheer robust functionality. "Adobe Premiere Pro is only editing program for high level production projects"
Adobe Premiere Pro is a user friendly product for any level of video editor. Whether it's turning a project around for social or independent film in 30 minutes or 4 months, you are able to be efficient for any circumstance. It also allows easy customization for whatever work space you desire. With all the updated features provided by Adobe CC, there's not much this program can do in terms of professional video editing. There's nothing I can think of that I don't dislike. I've been using the product for 20 years and have found little to no issues and when an update comes out, everything is fixed. If I could have the option to have a physical CD copy of the program instead like in the past instead of only paying monthly, I wouldn't mind being able to have that option. I understand that updates need to occur but also that this program can be crossed used with phones and tablets on the same project timeline with Rush. I have to turn around completed marketing videos shot in the same day very often and Premiere Pro solves any problem I have very fast as long as I'm on top of what is needed. 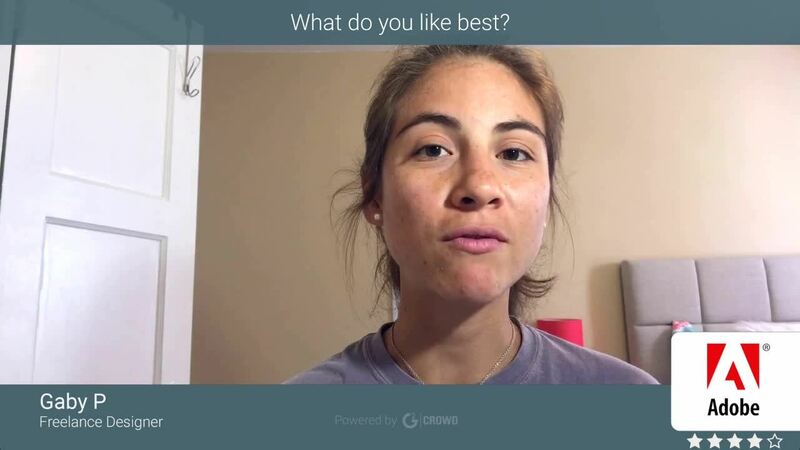 "Great editing software for companies and freelancers (And for vloggers too!)" 1) Hardware acceleration. This really improved render time by quite a bit. I can say render times on WIndows are almost as fast as render times in Final Cut for Mac. 2) Proxies. The option to create ingest proxies for 4K footage is simply great. Smooth playback on the timeline really speeds things up and lets you edit without hiccups. 3) The community. Premiere Pro has a huge community with great tutorials online. You can also find great free presets as well paid presets that are time-saving. 4) Integration with After Effects and Photoshop. The integration with both pieces of software is very important since you can move from one software to the other without any hiccups at all. Render times in Premiere Pro are still a little slow if you compare them to Apple's Final Cut, although things have imrpoved a lot thanks to hardware accelration in Adobe Media Encoder. Sometimes it can be buggy. There are still a lot of old effects in the library that should get an update. Consider Adobe Premiere Pro if you are on Windows and want a huge community and lots of tutorials online, as well as decent support from the company. Premiere Pro helps us create different videos for our website and our social media accounts. It also helps us create GIFs thanks to its export PNG sequence that we use in conjunction with Adobe Photoshop. We use the GIFs for our emails and newsletters. Great for cutting long webinar videos too. What I like best about this program is the ease of using it no matter your background - you can start the program and start intuitively editing a film. Many of the tools are easy to use too - I love the warp stabilizer and the color correction, Lumentri, is a wonderful tool too. Not to mention, the ease of working with other adobe programs when you need to take a project in and out of other programs or aspects of it. I want to be able to chose single programs that I want and make my own plan. I also would like a yearly cheaper option for those single programs. Be prepared for a monthly subscription and feel free to use their tutorials to learn more - this program can do a lot! I'm not really solving any problems, per say, Adobe Premiere Pro helps me create beautiful films. One of the major benefits to this program is its ability to work within the other Adobe programs effortlessly which is great when you need to tweak certain aspects but other programs do it better allowing you to further find tune your final product. "The Video Editor for Everyone"
Premiere is perfect for teaching new editors how to edit. It is intuitive, and has multiple ways to accomplish the same task depending on Your preferred style of editing. It is perfectly equipped to handle most jobs from intake, to final product...whether You are titling, color correcting, or simply compressing large files to something more manageable. It's an excellent all around solution for post production video. Occasionally it has compatibility issues with weird file types from crazy codecs of cheaper cameras. Also, native pro-res support on the PC edition would be nice since most my colleagues are Mov/Mac/Pro-res users. Adobe Premiere Pro is an all-in-one solution that will step Your game up to the next level. Whether You are a new editor or a seasoned pro, Premiere has You covered. There is a reason they are on top of the pile of other Editing software. They have put in the time, development, and expertise to make the product stand above the crowd and meet almost every need of the post-production novice or professional. Once You move to Premiere, it's difficult to go back to anything else. Embrace the superior product that works better with almost every work flow and media out there. I teach new editors to do 'factory' editing, and I need it to be as simple to pick up as possible. The learning curve is smaller than most Editing software, so I get them up and running more quickly so I can focus on other things. This is invaluable in helping me manage projects and time for me and my employees. "Adobe Premiere Offers Continuously Expanding Options"
Adobe Premiere is a professional-level video editing package that can be used from the simplest to most complex levels. It's easy to learn, especially for those migrating from other platforms like Avid or Final Cut Pro. It's also extremely robust with layers and layers of customization available to those who want more control over their final product. I'm also elated that Adobe has included tools and effects for 360º video production in their recent updates. Our company does quite a bit of 360º video production and the new tools have made life so much simpler. My primary dislike with Premiere is a small one. It concerns the ability to create custom workspaces. Premiere allows users to arrange the workspace to their personal preferences, but if you move windows around while you're in your custom workspace there is no simple way to return to that default custom setting. Instead, you have to manually move all of the windows back in place. I would love to see a simple "reset workspace" option. If you're new to Premiere Pro, take your time learning the basics. Do all of the tutorials. Once you've mastered the essential skills necessary to confidently navigate the program, play with some of the controls and effects that allow you to create truly unique videos. Our company does commercial video production for various clients as well as news packages for our monthly magazine website. We shoot a variety of video resolutions including 4K, 1080P, and 360º video. Premiere handles everything we throw at it with no problems at all. It also allows the integration of some great plug-ins like Knoll Light Factory. Premiere allows our company to deliver any video product requested. "Flawed Cloud-Editing Software that still essential tool"
New features and updates are introduced yearly (at least). That helps to maintain compatibility with new formats, codecs and filters. Workflow is smooth and fast. Flexible options for customizing the editing experience. Easy to retain and update old versions of software through the cloud. Often buggy especially with new updates. Daily unexplained crashes, even when operating on a new iMac Pro. Doesn't always take advantage of latest processing tools on powerful computers. Avid and other editing platforms are still valid options but the Cloud license opens up so many other essential programs that it seems silly not to. Great to be able to share one cloud license on two computers so I can edit in multiple locations. The update tools notify you when there is a new version out there and you don't have to work about paying for it. But, essentially, it's a great tool for editing spots quickly with lots of built-in perks to make them look good. "Best editing program on the market"
Premier works perfectly and everything about it is user-friendly and simple. It has flexible and simple UI that allows you to make all the things with ease. You can have the main monitor on a separate screen for live-review and to have your main window resides on another screen and this is important for color correction because you can see what it will look like on a various screen. It has a steep learning curve for both UI and the software in general. If you are not familiar with this software it might feel daunting but once you become familiar you’ll begin to feel its flow. As other Adobe products you can set up the workspace so it can meet your needs, and to do the job easily. The tools are simple and intuitive and it helps you to be more focused on editing. I like the media source window because it allows me to watch through source files, select time codes and to insert into the main sequence with precision. It takes a while to learn how this program works and because of the fact that this tool can do a lot it can be a little messy and less friendly. They could make it even more intuitive especially when placing a clip around. We sell video contents and this tool helps us to experiment more with our video outputs, to improve cuts, overlays and to improve the sound as best as we can. I love the fact that you can edit VR video with Premiere natively in the app. I have been using this for 10 years, and I would never switch. Multi cam is really good. I have used this app for small projects, and gigantic ones. The community around the Adobe products is really great too. It crashes a fair amount, but autosave is a huge awesome feature. Around the times of the first releases of the new versions, but just make sure that you have an older version installed just in case. Fantastic product with tons of features. Should be considered a serious tool if you are making videos. Titling is easy, and the integration with the rest of the Adobe Suite is awesome. Also check out Premiere Rush, because it integrates fantastically. I can edit fast, and do more when I use this program along with the other products in the Adobe Suite. Ease of use is a feature I always look for in any software, because with my high paced job I cannot waste time spending hours learning one function that I need to complete my projects. I use Premiere Pro both for personal and professional use because it is simply, to me, the best video software on the market for my purposes. Their Effect control location and functionality is superb, the voice editing is marvelous, the ability to input graphics, images, and text is a breeze. The Auto-Save function has saved my projects more than once. The Save versus Save-As function gives me a lot of trouble resulting in me saving all my work only for it to disappear, but as I said before the Auto-Save function has helped me retrieve my work. Color editing can be a bit tricky because of the way its formatted but I've managed to learn to work with it over the years. Always, always, ALWAYS hit 'Save' and not 'Save As'! My team makes not only promotional videos for the events we host at the events, but I also like filming interviews to add a personal touch to them. Inputting sound, and multiple videos and then editing them into one collective video that really shows what we are capable of. Videos get more hits on Facebook, and facebook makes it easy to see how many people have seen your video so it is a way we as a team can know what markets we're hitting with our advertising. "Comparable to Other Expensive Video Editing Softwares!" Prior to using this, I used Final Cut Pro for all my video editing. However, once I discovered Adobe Premiere Pro, I realized that this was clearly the much better alternative as it's easier to use. What I really like about Adobe Premiere Pro is that everything is very easy to find. I'm never confused as to what I need to do for what I want to be done, as everything seems to be very intuitive. In addition, I also really like how great this can be for not just long videos, but also short ones for our social media pages. What I dislike is that this is a somewhat expensive alternative to most other Adobe Premiere Pro. The only reason I have this is that it comes with the subscription that I have with Adobe, but if this was my only reason for purchasing the subscription, I don't think it would've been worth it. There are many good alternatives, even free ones, out that there that are on par with Adobe Premiere Pro. I would highly reccomend for everyone to give this a shot. I think it's amazing and while expensive, may be worth it for some organizations. The business problem that we solved with Adobe Premiere Pro is that since we're a non-profit organization, we would have to rely on volunteers or 3rd parties that had Adobe Premiere Pro to edit videos for us. However, now that we are able to make our own videos, we save a lot of time and can get things done much quicker and more efficiently. "Adobe Premiere Pro Can Be Used By Anyone..."
As a nonprofit organization, we obviously have a very limited shoestring budget and can't afford to have professional videographers create short videos for the events that we host. As a result, I began trying out Adobe Premiere Pro and I think it's amazing. What I like best is that not only is it suited for those who are professionals at creating videos, people who are new at it can also utilize this to edit videos. What I dislike is that there was initially a lot of frustration as to how I could add overlapping audio, such as voiceover with music and multiple other audio files. However, this issue resolved itself once I began to learn how to use Adobe Premiere Pro better. However, people who are new at this may find themselves struggling. An Adobe subscription can be costly but I would still reccomend giving Adobe Premiere Pro a shot! The business problem that we solved with Adobe Premiere Pro was not having to rely on paid professional videographers to create clips for us. By using this, we were able to do so ourselves and this was a very cost effective method as well. I really enjoy the dynamic linking between premiere, audition, and after effects. The ability to use a family of products instead of jumping between final cut and resolve and motion is really easy to manage. I personally use the Adobe suite - specifically premiere for all of my video projects. My one and only gripe is the speed of the system. Premiere is probably 20% slower on a Mac than it's PC equivalent. If you plan on using this with a Windows system then forget about this comment. Otherwise, Apple's Final Cut is probably 2-3 times faster on your Mac so it's worth a speed vs. features comparison for your project needs. I'm not sure if they offer a trial, but if you are a PC user, there is no question. Do it! If you are on Mac, you really need to consider what Premiere provides that the Apple Suite can't get you. If there isn't much, the speed is a huge advantage. Working within a team to edit and produce visual content for potential customers and training for current customers. We have realized that using Adobe instead of the Apple products helps us get better results even though they are much slower on our iMacs. "With so many tutorials and books available, Adobe Premiere Pro is easy to learn"
I like that there are so many tutorials on YouTube and books available, so it is easy to learn how to use Adobe Premiere Pro. It can take a long time to render videos, even with a powerful computer. It is helpful to have a graphics card to accelerate encoding. I use Adobe Premiere Pro to compile videos from different sources into a single video. I create some videos in Adobe After Effects, and I capture videos from my computer screen with OBS, and I capture yet more videos from my digital SLR camera. I use Adobe Premiere Pro to compile the videos together, into videos that we use on our web site and social media. Being able to create these videos in-house has had the very important business benefit of making us more competitive. "A Little Too Advanced for Most - However Still Useful"
What I like best is that even though we don't need Adobe Premiere Pro for full movie length videos, it's still very useful for editing short clips or adding snippets of videos and photos together. I like how this allows me to add pretty much everything to the videos that I create, such as adding audio, music, subtitles, and transitions. Overall, Adobe Premiere Pro leaves for a lot of customization for users to decide. What I dislike is that unfinished videos can sometimes be deleted as the Adobe Premiere program crashes a lot on my Macbook. When it crashes, it doesn't save the changes I made to the video and I sometimes had to redo thing's I've already done. I really like using Adobe Premiere Pro and I would highly reccomend for others to give it a try too. It may not be useful for every organization but if yours relies heavily on video content, this may be very beneficial to use. A business problem that we are solving with Adobe Premiere Pro is learning how to do photography and videography ourselves so we don't need to pay for external help. By doing everything in-house, we are able to cut costs and finish projects, especially ones that require social media marketing, much faster. "A phenomenal piece of software that gets better with every version." Premiere Pro is extremely powerful, capable of handling footage in countless formats and enabling the user to tailor their workflow however they 'd like to. It's very user friendly as well, both rookies and experts in the field can find something to like about the program. The updates, while frequently beneficial, sometimes completely break the program. Premiere Pro is pretty complex in terms of software structure and organization, and any new update can potentially really mess up a workflow or worse, even ruin a project. The solution to this is to be patient with each new update before upgrading, as bugs generally get fixed quite quickly. Take your time and watch as many online tutorials as you can. The best way to learn any program is to use it, and use it a lot. Premiere Pro enables y productivity to be at maximum anytime I use it. Since I have my own pre-made workflow, I can simply jump into a video project and get to creating something awesome. With these benefits in mind, I never have to worry when a project has a quick turnaround, and can simply push through it and get things done. Before even taking a course being able to use this program was fairly easy. Once I took a course to understand the layouts and how they best work for me and my organization's need using it has become a breeze. The fact that I can create video that look professional seamlessly and easily is a plus. If you're not sure how to create transitions for your video being created the program does it for you without a problem. So helpful specially in making everything transition smoothly. I have created several promotional videos for my work with and without subtitles and it definitely feels great to be able to present a video project that people understand visually, transitions smoothly and looks professionally made. One of the downsides to this amazing program is understanding the different work spaces. To the inexperienced user trying to understand the subtitle workspace can be specifically confusing. Take time to get training by watching videos or other types of research. I used to use windows movie maker to make videos for simple promotion or to post on our social media accounts, since discovering Premiere Pro that all has changed. Besides the fact that movie maker is no longer available I haven't found an editing software that met my needs quite like this. I've created several videos that have been published on our social media and have been appealing to our current audience. After some investigating and training (even if only via youtube videos) using this software is easy. "Hands down the best video editor out there!" Premiere Pro is great for detailed edits with multiple video timelines of layered content. Based on the same layered design as Photoshop, Premiere Pro allows the user to have more control over their effects. As an editor who likes time-saving tools, like automatic color matching or multi-camera matching, I just can't get enough of Premiere Pro! Did I forget to mention the small output size when rendering?! I used to always re-render with Premiere even back when I edited with other programs. If you plan to do a few, simple, single-camera interview edits, you don't need Premiere, it's overkill. If you need speed and simplicity, and you're only making a few cuts, you don't need Premiere. Want the best editing program that money can buy? Can you afford it? Yes & yes? Premiere Pro is for you! Smaller file size is huge when we need content to play online, and faster editing is always helpful when there are deadlines! "El mejor programa de edición de video"
Lo que más me gusta de este programa es la facilidad de uso. Claro que si quieres hacer cosas más sofisticadas la cosa se complica pero con unos conceptos básicos eres capaz de hacer un proyecto de lo más profesional. Me encanta las cantidad de transiciones que tiene para secuenciar unos vídeos o imágenes con otros. Además le puedes dar a los vídeos cualquier tipo de efecto con las capas de ajuste que son muy potentes. Otra cosa muy buena es que esta perfectamente integrado con After Effects por lo que si quieres hacer algo más complejo en este programa lo puedes integrar facilmente. Lo que menos podría ser los recursos que hacen falta en la máquina para que la edición de vídeo vaya fluida. Supongo que en general todos los programas de edición lo requieren. Necesitas un buen procesador y muy aconsejable disponer de discos SSD para que la edición no te martirice. Si estas considerando el uso de Adobe Premiere Pro te lo recomiendo encarecidamente, tengo que decir que realmente no he usado otros programas pero dudo que haya alguno como este. En un momento montas un proyecto y obtiene un resultado profesional. A la hora de hacer vídeos de presentación de alguna promoción Premiere me resuelve la vida, haces una selección de vídeos e imágenes, los pones en la línea del tiempo, seleccionas unas transiciones, pones unos títulos, seleccionas unos cortes de audio y en un momento obtienes un resultado buenísimo y profesional. "Versatility to adjust the workspace and how you use the program for difference projects is great!" The thing that I like best about Adobe Premiere Pro is that it is very versatile. It is easy to adjust the workspace and windows to become similar to other programs that I have used in the past for familiarity or even just adjust the workspace for different project needs. You can create your own shortcut keys also which is very useful and helpful. You can make an editing session as complicated or as simple as you would like depending on your preferences and needs. There is not a way to easily / automatically sync time codes for a multi-camera editing workflow like other programs can do. In my experience it also takes a while to render effects. I use a 2 terabyte external hard drive while editing that does not have saved projects on it to help with this but still seems to be a bit slower. There are many tutorials that can be found online. I recommend watching these even if you are an experienced editor because there are soo many tips and tricks to cut down on time and this product has a great community. One of the biggest benefit that I have discovered while using Adobe Premiere Pro is using the Markers to easily and quickly sync clips to music for either a montage for a meeting or a tease/ trailer. Image quality remains consistent throughout the export process. This is something I have had issues with using other programs. The price to quality of this program is great when getting a company to approve the licences or even for personal use with the Adobe Creative Suite options. I've been using Premiere Pro for as long as I've worked with video. It has undergone numerous changes during the years, but every time it's updated it's become more useful. The current version is phenomenal. You can link any video clip to an After Effects composition, you can link any audio clip to an Audition project. Lumetri color is built in, and with the numerous workspaces you can choose I cannot begin to describe how versatile this program is. I learned editing on this program, and it has only gotten easier to use since. SUPER excited for whatever's coming next. The only thing that is a little bothersome is the window arrangement. It could be a little more intuitive. When you resize panels you have to manually adjust the surrounding panels, but if this were a little automated it would be more fluid. If you have your files in thumbnail view, opening a folder opens a whole new panel that floats, which isn't ideal. But, these are nitpicks. Start simple! Learn the keyboard shortcuts and build from there. Lots of power in this program. I work on client-based commercial video projects. Every post-production session begins and ends in Premiere Pro, and I have never had a hiccup with that process. The ability for Premiere to link to seemingly every other CC application is the best benefit of this program. "Perfecto tanto para aprendices como para profesionales de la edición de vídeo"
Es un programa que he usado desde siempre, desde que empecé poco a poco a aprender sobre la edición de vídeo. Aunque, al principio, si no has utilizado ningún programa similar, pueda parecer difícil de usar, nada más lejos de la realidad. Es un programa muy intuitivo y ofrece una amplia variedad de herramientas que cubrirán todas tus necesidades como editor de vídeos, empezando por un simple vídeo con fotos, hasta la edición de un largometraje. Si llevas a cabo proyectos grandes que necesiten de una gran cantidad de uso de medias, lo cual lo hacen bastante pesado, vas a necesitar un ordenador bastante potente para que funcione sin problemas. En alguna ocasión, he tenido que ir renderizando un proyecto por partes para, después, renderizar el proyecto final de forma más liviana, porque en mi ordenador no era capaz de funcionar óptimamente. Ya no solo en lo que se refiere al renderizado de los proyectos, si no a la edición en sí de los mismos, ya que el programa se volvía bastante lento. No os quedéis sólo con lo que veis a simple vista en el programa. Explorarlo con proyectos de prueba. Además, en YouTube encontraréis una gran cantidad de vídeos destinados a enseñar el uso de este programa o de muchas de sus herramientas, lo que os será de gran ayuda. Cada vez que he tenido que realizar un vídeo para la universidad, o para mi trabajo, he utilizado Adobre Premiere Pro. Es perfecto para proyectos pequeños que no requieran mucho tiempo o cantidad de medias utilizados, ya que los editarás rápidamente. Por otra parte, me ha venido siempre muy bien para proyectos más grandes en los que quería hacer cosas más "especiales" puesto que el programa está muy completo. When I was a journalism student, we learned a mix of Avid, Final Cut and other consumer video productions software platforms. Opening Premiere was like opening the perfect child- a beautiful blend of the best of the competition. 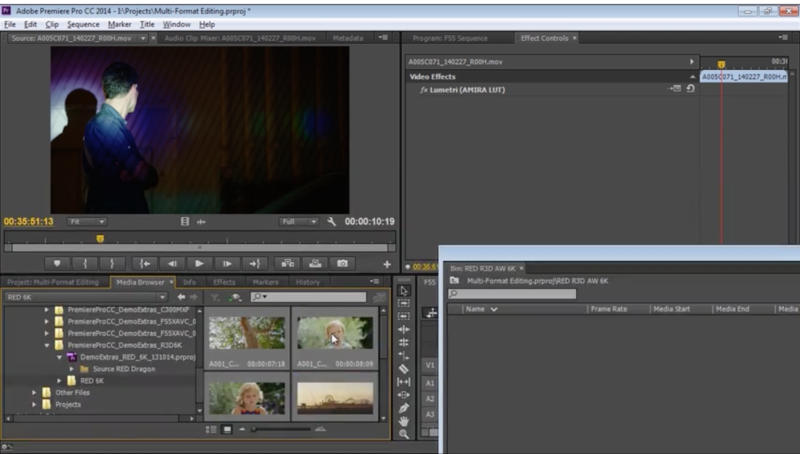 New iterations of Premiere on the cloud keep moving buttons. It's hard to have a workflow disrupted by menus moving and not conforming to my saved workspace configurations as I upgrade. Save workspace configurations. Take a Lynda class or two, but then just start using the product to get a feel for what's available. I have used Premiere across my many hats. As a journalism student and journalist, Premiere helped me create clean stories to share with viewers with quick turnaround. The standard adjustment tools turned even iPhone 5C video into quality visuals for HD broadcast. Learning new techniques to freshen up content is easy. "Premiere is an amazing program for simple to complex editing." I love Premiere's intuitive interface and functions. Even the small functions are incredibly useful– my team uses color coded clips, markers, labels, etc. for everything. It feels like the Premiere developers have thought of everything when it comes to fast, organized video editing. Premiere runs very slowly on my iMac. I know it is more compatible with PCs, but increased functionality, and reading and writing speed for Mac would be incredible. Premiere is an incredibly deep program that can be used for either simple videos editing or complex production. If you are new to Premiere, watch tutorial videos and get familiar with all of your options– there is so much to learn! I also highly recommend getting Adobe CC so you can continuously get the great new updates Premiere has. We are producing videos for all branches of the non-profit organization we are a part of to raise money for what we do. Our videos allow our teams to share the work we do with partners as well as the general public. Premiere is versatile and flexible for what we need it to be to produce all the video content we need. "Video Editing that Makes Sense"
The flexibility to customize your workspace makes editing a much smoother, more personal experience. I do a lot of organizing within each project so I really appreciate the way Premiere uses bins, and folders to hold media rather than the "library" idea from Final Cut. I also really like how easy it is to drag media/effects into the timeline. I believe that the way the windows are so easily moved around and rearranged makes Premiere a very user-friendly software. I am currently dealing with an issue where Premiere will crash when editing Multicam audio tracks. I sync footage and audio for every project so this is a major frustration. I believe this is some sort of bug that Premiere updates will fix. I also have wished that there would be a simpler way of sharing projects and working on the same project with someone else, but this is not a big deal. Even if it is frustrating to learn at first, once you get the hang of it Premiere will become intuitive and simple to accomplish professional video editing. With Premiere Pro we are able to get films edited quickly and efficiently to ensure delivery deadlines are met. One benefit I like is the MultiCam feature which allows me to sync footage/audio within Premiere instead of using another software then importing into Premiere. We are also able to easily move between other Adobe programs like After Effects. 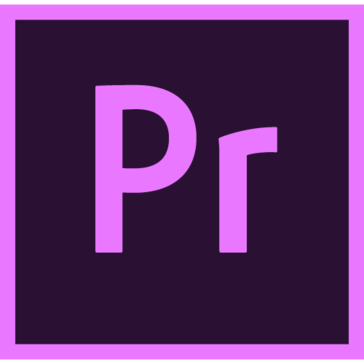 "Adobe Premiere Pro - Non-Linear Editor of Choice"
Premiere Pro has become the standard NLE of choice for the majority of editors outside of broadcast news and feature films, although it has been gaining market share in these environments as well. It is a powerful and fully-featured editor with support for numerous media formats, high resolution sources, and even VR content. One of the best features is the tight integration with the rest of the Adobe Creative Cloud platform. Dynamic Linking allows clips or sequences in Premiere Pro to be used in Audition for sound work, After Effects for visual effects and titles, SpeedGrade for color grading, Photoshop for 2D graphics, and more, without ever having to manually export or link files. Additionally, Premiere Pro can be used cross-platform in mixed Windows and Mac environments. Adobe's frequent updates often introduce numerous bugs and instabilities. It sometimes feels like the development team is too focused on adding new and questionably-useful features that quality control gets overlooked. I would recommend Premiere Pro to editors looking for a fully-featured, tightly integrated postproduction solution, especially for small companies or freelancers. Large production teams with dedicated colorists, graphics artists, and sound engineers may be better served by other software, but for an all-in-one solution, Premiere Pro is my platform of choice. Premiere Pro provides me with a full-featured editing solution that I can use on both my Mac and Windows machines. It supports media from any source I have, typically without any transcoding or format conversions required. The integration with the rest of Adobe's software solves the problem of managing assets through a multi-stage postproduction workflow. With other NLE software this process can be much more tedious and time consuming. "As more and more competitors emerge, Premiere Pro is the gold standard for business & consumer use"
You can just go in, edit an in and out point, export and get on with your day BUT if you need to do anything else, Premiere has you covered. Effects are easy to apply as are swapping in and out video and audio tracks. Comes with a decent suite of transitions, audio filters and video effects but nothing super fancy unless you want to check out After Effects! Audio editing could be a lot easier/better than having to open up Audition. Try it. Adobe allows tou to, check out a tutorial video for a quickstart for familiar terms and functions. Social Media posts, crunching videos down. I have a light weight editor but if you want to just take something, cut it and export, the controls for file sizes, quality etc are ideal for quick results. "The gold standard of video editing."